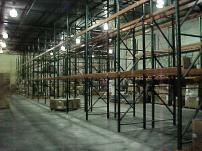 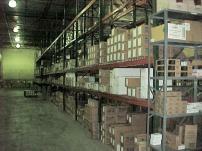 The Selective Pallet Rack provides over 1,000 pallet positions of storage and serves two purposes. 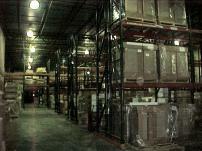 First, this layout was designed with open area to receive the 4 or 5 trailer loads of new product that Bell/Simons receives every day, and to provide easy access to store overstock in the rack system. 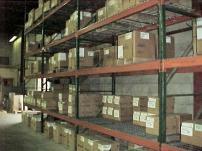 Secondly, the aisles were left wide enough to allow both forklift traffic and bulk case picking from pallets on the floor level. 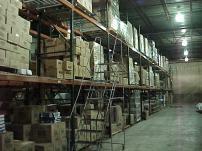 This allows specials and fast moving bulky items to be picked efficiently and restocked quickly as required.